Carnival Cruise Lines was named the “top contemporary cruise line” at the recent WAVE (Western Agents Votes of Excellence) Awards presented by TravelAge West Magazine. The annual awards, which recognize travel companies in a wide range of product- and service-related categories, are based on feedback from TravelAge West readers, which include travel agents from 14 western U.S. states, as well as information gleaned from the publication’s editors. Carnival – the West Coast’s number one cruise line with four ships based within the region on a year-round or seasonal basis – was recognized for providing guests with memorable, high quality vacations at affordable prices. Its “Fun Ship” fleet offers guests a variety of on-board facilities and features – a diversity of full-service and casual dining options, expansive spa and children’s facilities, spacious accommodations, and fun-filled activities for guests of all ages. 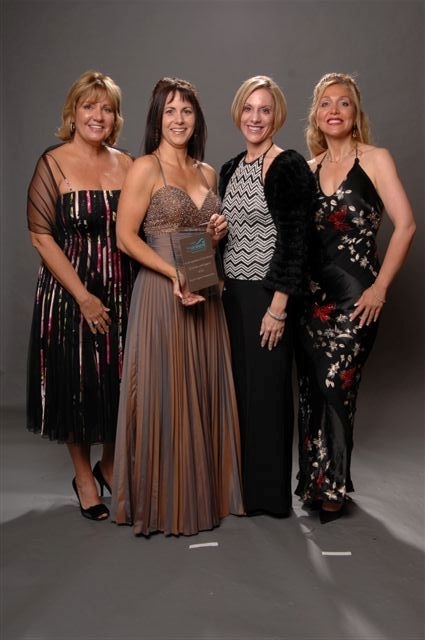 Pictured here at the WAVE awards ceremony held earlier this week in Beverly Hills, Calif., are (from left): Carnival’s Vice President of Sales – Western Region Vicki Tomasino; TravelAge West Editor Michele Rosenberg; and Carnival’s Senior Vice President of Sales and Guest Services Lynn C. Torrent, and Vice President of Business Development and Strategic Partnerships Edie Bornstein. Carnival’s West Coast-based ships include the Carnival Pride and Carnival Paradise based in Long Beach, Calif., and Carnival Elation and Carnival Spirit in San Diego. In March 2009, Carnival will continue is West Coast expansion when the 3,006-passenger Carnival Splendor – the largest “Fun Ship” to date – replaces the Carnival Pride on year-round seven-day Mexican Riviera cruises from Long Beach. These four ships are part of the line’s 22-vessel fleet which operates three- to 18-day voyages to the Caribbean, Bahamas, Alaska, Europe and other popular destinations.